Hot on the heels of the pentaquark‘s discovery, yet another exotic particle has been found by scientists. 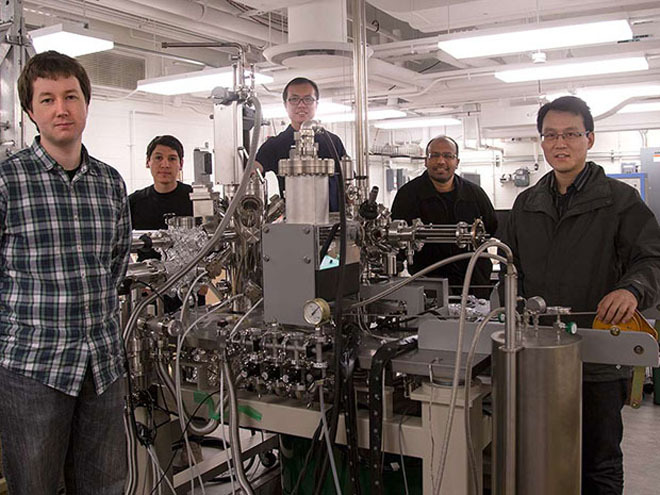 These researchers believe that these massless Weyl fermions could be used to create faster and more efficient electronics, and potentially push the development of quantum computing further. So what is this weird Weyl fermion? Fermions are a class of particles that include all the elementary particles such as electrons, protons, and neutrons, as well as quarks and leptons. The existence of a massless particle that could carry an electric charge was first theorized in 1929 by mathematician and physicist Hermann Weyl. To discover this long-predicted particle, scientists didn’t use a particle accelerator; instead, they had to create a synthetic, asymmetrical, metallic crystal called tantalum arsenide (TaAs), in collaboration with other scientists at Beijing’s Collaborative Innovation Center of Quantum Matter and at National Taiwan University. The inside of this so-called “Weyl semi-metal” can separate electrons into pairs of Weyl fermions that move in opposite directions. To confirm the presence of Weyl fermions, the crystal was shot with high-energy accelerator-based photon beams. By analyzing the form, size and direction of the beams, scientists were able to identify the presence of Weyl fermions. 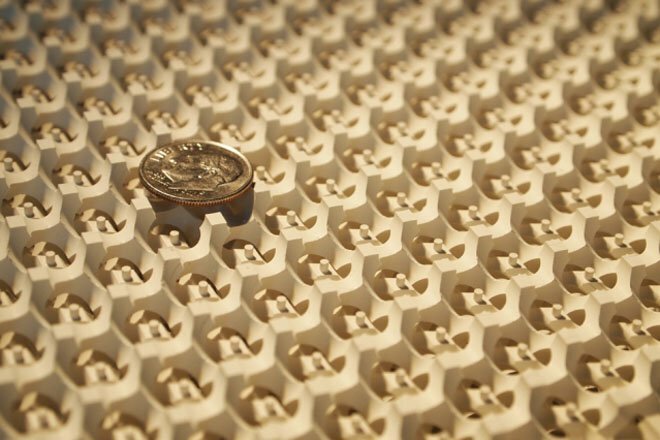 The gyroid surface with a dime on top. The discovery of Weyl points is not only the smoking gun to a scientific mystery, it paves the way to absolutely new photonic phenomena and applications. Think of the graphene revolution: graphene is a 2D structure, and its electronic properties are, to a substantial extent, a consequence of the existence of linear degeneracy points (known as Dirac points) in its momentum space. Materials containing Weyl points do the same in 3D. They literally add one degree of freedom, one dimension. Images: Princeton University, MIT by Ling Lu and Qinghui Yan.